New Directions Publishing Corporation, 9780811220309, 178pp. Nausea is the story of Antoine Roquentin, a French writer who is horrified at his own existence. In impressionistic, diary form he ruthlessly catalogs his every feeling and sensation. His thoughts culminate in a pervasive, overpowering feeling of nausea which "spreads at the bottom of the viscous puddle, at the bottom of our time -- the time of purple suspenders and broken chair seats; it is made of wide, soft instants, spreading at the edge, like an oil stain." Winner of the 1964 Nobel Prize in Literature (though he declined to accept it), Jean-Paul Sartre -- philosopher, critic, novelist, and dramatist -- holds a position of singular eminence in the world of French letters. 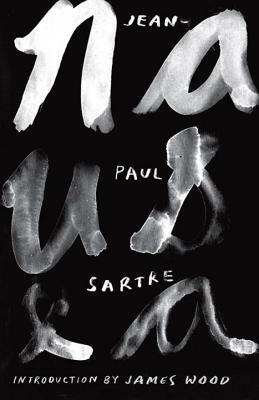 La Naus e, his first and best novel, is a landmark in Existential fiction and a key work of the twentieth century.